Either I have more (in amount) conservative readers than I thought (hello peeps - we are all welcome here) or the drop in Mrs. Obama's approval rating is no joke. All this to say ELIZABETH you are the WINNER of this beautiful book. I need your addy....please don't make me get off the couch, email me! I'd love to tell you what's up next - a book review, a Christmas list o'fun, more Evie - but I just don't know yet. Do you ever have tons of ideas flying around with no space to land? That's me up in the clouds. So I'm hanging out and trying to work on my December Daily album. And looking at Tumblr...talk about enabling. Back to the December Daily, I am determined to FINISH something. I started a couple years ago - chose the album, decorated the cover (all stickers). Last year, I gathered materials (sort of) which came to an abrupt halt when I had to move all the scrapbook materials to make way for Evie (well worth it I must say). This year, I'm still gathering and hopefully will have something to show by the end of this week. If you are working on one too...let me know and we can encourage one another. If you've already put yours together :P, just kidding, sorta. And to our veterans (one of whom is my father in law)...THANK YOU. Anyone preorder books? I rarely do, but i love the idea of ordering something, forgetting about it, and retrieving a package with a surprise containing exactly what i want. Sending a gift to yourself in the future. Since I can barely keep up with reading books that are actually published and available, i don't really want to spend more on hardcovers just for them to sit around in my stacks for a year until i get to them. 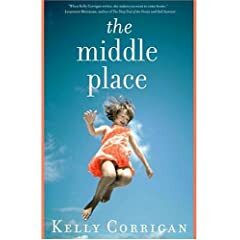 The Middle Place - Kelly Corrigan ( a memoir)...shipping next week. 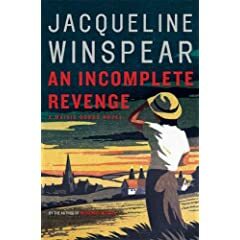 4th book in Maisie Dobbs series - An Incomplete Revenge by Jacqueline Winspear, coming in Feb.
and this....well if you know me, you know there are no words to express my excitement. And, I don't even know what it's about. Coming the end of April. 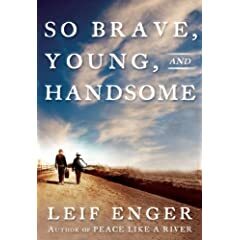 Are you waiting for any books, sequels, favorite authors? Which one(s)? And how am I ever going to get through my books-to-read if they won't stop writing new ones?